Pastor Chris Oyakhilome’s ex-wife, Anita in a new blog post wrote about a couple who are happy on the outside but are facing the reality of a dead marriage. According to Pastor Chris Oyakhilome’s ex-wife, a spouse who is at the center of a ‘dead marriage’, sometimes end up spending many years of endless hope in anticipation for a change, enduring a relationship that is bereft of life. Her blog post has been linked to what allegedly happened in her marriage. Wife: I am good. How is your day? Wife : Today is our anniversary. Happy Anniversary. Wife : I noticed many greetings on social media wishing us a happy anniversary. I find it confusing to read comments from your close friends saying “ best couple in the world”; it sounds like a complete joke, when they know we rarely see each other. We see each other at most ten days in a year; I can’t understand their reason for making this comment, such flattery. It is confusing to me. Husband : Well, at least they sent their greetings. Wife : Their greetings are on social media, no contact by text or by email. Wife : I sometimes wonder if we are married. There is nothing more to this relationship to indicate we are married apart from a ring on my finger; the ring is another story and our pictures are interjected because we are rarely together to take a proper picture. I feel sad that we are not together. Husband : Look, I have told you over and over again that we cannot live in the same country because we are very busy and one country is too small for both of us. I expect you should be able to figure that out. Wife : One country is too small for us? Husband : Yes and you keep coming back to ask the same question. Wife : Okay. Since you don’t often call either, please call the children, at least once a month. They go on for months without speaking with you. I noticed they don’t seem to care anymore. Wife : That is about all. Wife : Have a beautiful day. Facing the reality of a dead marriage, where a spouse spends many years of endless hope in anticipation for a change, enduring a relationship that is bereft of life. Believe it or not, this was somebody’s experience and is another person’s state of affair. Aliko Dangote is reportedly selling his loss-making business unit, Dangote Flour Mills to Olam International for N130 billion ($361.11 million). The sale of Dangote Flour Mills Plc for N130 billion ($361.11 million), was announced in a corporate disclosure posted on the Nigerian Stock Exchange (NSE) on Tuesday. According to Thabo Mabe, director at Dangote Flours, Olam International has indicated interest to acquire all the outstanding and issued shares of the flour mills company that are not currently owned by Ola through its subsidiary, Crown Flour Mills Limited. “The total consideration offered by Olam and being considered by the Board of Dangote Flour Mills for the entire 5 billion issued shares of the company is N130 billion. Subscribe to The Republican News. Advertise with us. Call us for press release, enquiries. Email: RepublicanNewsNetwork1@gmail.com, phone: +2348189650279, +32497220468, +32466100102. A Beautiful Yaba College of Technology IT student, Ife Aboyeji was caught on CCTV Stealing N500,000 in the office, and hiding it in her private part. A pretty Student Of Business Administration in YABATECH who was doing her SIWES Program (IT) in a big company was caught red-handed both by her boss and CCTV camera stealing N500k Cash from safe and hiding it inside her private part. She had first stolen some money and no one noticed, so she went again to steal in the morning yesterday and no one also noticed. She went back again for the third time in the afternoon to steal again that was when her madam walked in on her and after that they reviewed the CCTV camera footages. All her previous atrocities came to light. “This is Ife Aboyeji, a ND II Student of Business Administration in Yaba College of Technology who was on SIWES in an organisation and carted away with over 500k within her 3months in the organisation. Investigation reveals that her father is an accomplice as he has been benefiting from the proceeds of theft. Subscribe to The Republican News. Advertise with us. Call us for press release, enquiries. Email: RepublicanNewsNetwork1@gmail.com, phone: +32497220468, + 2348189650279, +32466100102. 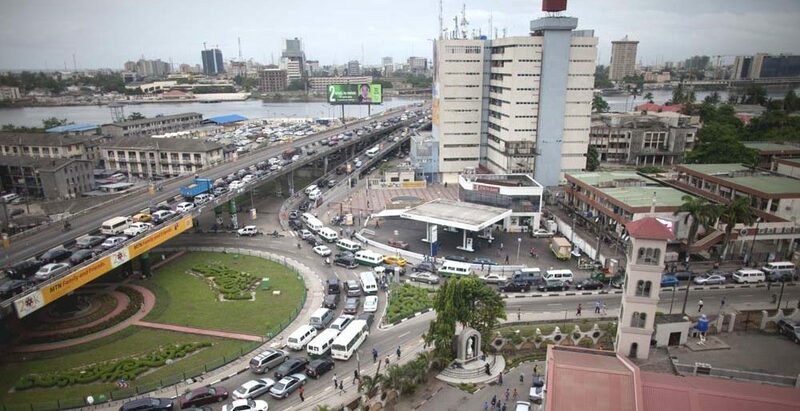 The issue surrounding the case of Innoson motor with GTBank has been taking several unprecedented U-turns that it is most likely that this may get another twist for GTbank. The reason behind the resistance from GTbank is what has baffled some in different quarters and some have asked the question, if GTBank managing director is pursuing another agenda than pure commercial dealings with Chief Innocent Chukwuma or Innoson Vechicles Manufacturing. Innoson won their case against GTBank in the Supreme Court but it appears the bank leadership has refused to abide by the rulings of the highest court in Nigeria. This portends a grave danger for the leadership of the bank since they can longer appeal any case to any higher court than the Supreme Court of Nigeria. Court Set To Commit Guaranty Trust Bank’s MD Segun Agbaje and Its Chairman Mrs Osaretin Demuren To Prison Over Contempt Charge. The Managing Director of Guaranty Trust Bank Segun Agbaje, Its Chairman Mrs Osaretin Demuren and the Company Secretary Erhi Obebeduo are set to physically appear before the Federal High Court Awka to show cause why they should not be committed for contempt and sent to prison for their willful, deliberate, wanton and unlawful violation of the subsisting Orders of the Supreme Court, Court of Appeal and the Federal High Court, Awka division and or for interfering with or obstructing due administration of Justice as epitomized by acts of hooliganism, thuggery, extreme lawlessness and condemnable impunity exhibited by them on the 29th and 30th of March, 2019 and on the 1st of April 2019. The relief is contained in an application filed before the court by Counsel to Innoson Nigeria Ltd, Prof McCarthy Mbadugha ESQ against Guaranty Trust Bank on its acts of thuggery, extreme hooliganism and outright lawlessness in breaking into all the properties of GTB which have been distressed and seized by the Court bailiffs/sheriffs while executing a writ of fifa issued by the Court. It should be recalled that Prof McCarthy Mbadugha ESQ obtained from the Court the requisite leave and necessary process for levying execution- the writ of fifa against GTB who failed to obey the Supreme Court and Court of Appeal’s Order affirming the Garnishee order absolute issued by the Federal High Court Ibadan in Suit No: FHC/L/CS/603/2006- ordering the bank to pay Innoson Nigeria Ltd the judgment sum of N2.4 Billion with a 22% interest, per annum, on the judgment sum until the final liquidation of the judgment. The Judgment debt of N2.4Billion has an accrued interest of over N6.7Billion as at today, thereby resulting in the total outstanding judgment debt being over N9 Billon as at today. However, GTB through acts of thuggery, hooliganism, lawlessness and outright impunity committed in the company of thugs and hoodlums procured by the cited parties- Segun Agbaje, Mrs Osaretin Demuren, Erhi Obebeduo -obstructed the Court bailiffs/Sheriffs from executing the orders of the Court and also un-distressed and released from seizures all the properties of the banks seized and attached by the bailiffs/Sheriffs. These acts were in furtherance and in realization of the bank’s Press Release on 29th March 2019 that the execution is illegal and fraudulent and that it will resist it by any means necessary. An ORDER of this Honourable Court commanding and or mandating the appearance of the cited parties on a day, date, time and venue as may be deemed fit by this Honourable Court to physically appear and show CAUSE why they should not be committed for contempt and sent to PRISON for the wilful, deliberate, wanton and unlawful violation of the subsisting Orders of this Honourable Court and or interfering with or obstructing the court’s due administration of Justice as epitomized by acts of hooliganism, thuggery, extreme lawlessness and condemnable impunity as exhibited on the 29th and 30th of March, 2019 and on the 1st April, 2019. AN ORDER that the acts of thuggery, extreme hooliganism and outright lawlessness of the garnishee/debtor and or the parties cited in this application in breaking into all the properties of the garnishee/debtor distressed, attached and seized by the bailiffs/sheriffs of the Honourable Court pursuant to a writ of fifa issued by the Honourable Court for that purpose and retrieved those properties, undistressed as well as released them from attachment and or seizure amounts to a grievous contempt of this Honourable Court of the worst specie. AN ORDER that the acts of thuggery, extreme hooliganism and outright lawlessness of the cited parties in obstructing and in stopping the Sheriffs/bailiffs of the Honourable Court from attaching, seizing and distressing the properties of the Garnishee/Debtor amounts to wilful and contemptuous violation of the subsisting orders of this Honourable Court as well as obstructing and interfering with the course of justice and due administration of justice. AN ORDER denying the Garnishee/Debtor, the cited parties – contemnors – or any other person affiliated or related to them, their counsel further or other audience or an opportunity to seek judicial intervention or palliatives before this Honourable Court – or any other Court of the Federal High Court until they purge themselves of contempt. Subscribe to The Republican News. Advertise with us. call us for press release, enquiries. Email; RepublicanNewsNetwork1@gmail.com, phone: +32497220468, +2348189650279, +32466100102. The Nigerian music industry in 2019 continues to be notorious for artistes controversies, and another one which could be the father of all music controversies that have happened in 2019 could probably be hitting the industry sooner than expected. 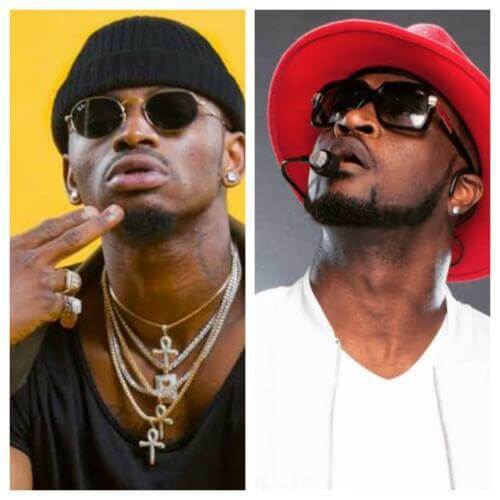 Tanzanian singer; Diamond Plantnumz has accused former P-Square Co-member, Peter Okoye popularly known as Mr P of sleeping with his wife, Zaria. The singer revealed in an interview with his radio station, Wasafi FM that Mr P through that act, caused his marriage with Zaria to crash. However, after making such bold revelation, Diamond’s Ex-wife has taken to social media to debunk the news, calling her ex-husband a pathological liar who once denied his own child. She said; “I was about to sleep and people started sending me these voice notes about how Nasibo (Diamond Plantnumz) went to his radio tarnishing me, how i had a relationship with P-square, my personal trainer and all those things. And i’m just here thinking if you guys are gonna believe any words that come from a man like him, the same man who denied his own blood. Mr P is married to Lola Okoye who has bore two kids Cameron & Aliona for him. He is however yet to give a response to the accusation by Diamond, but we hope he does that quickly so this wouldn’t facilitate the end of his marriage. Mazi Nnami Kanu, the leader of the proscribed Indigenous People of Biafra has released some new ‘proofs’ that Buhari is not a Nigerian. Kanu, in his broadcast from the United Kingdom at the weekend, said that neither “dead” Muhammadu Buhari, nor “his replacement” Jibril al Sudani, is qualified to contest for Nigeria’s presidential election. Nnamdi Kanu argued that being born on Nigerian soil was not enough to qualify one as a Nigerian citizen by birth, unless the parents, grandparents of such person is also born in Nigeria. The IPOB leader said that Buhari’s father, Hardo Adamu, was a nomadic FULANI trader, a duck seller, from Niger Republic and later became a bodyguard in the Emir of Daura’s palace, which made him to settle in Daura, Katsina State, adding that he (Hardo) was borne in Niger Republic, not Nigeria. Kanu said that the All Progressives Congress, APC, has opened the door by challenging Atiku’s citizenship by BIRTH, it now lies within the rights of every right-thinking person to also question Buhari’s citizenship by birth, even litigate it in Court. “Buhari, even before his death should not have contested for the presidency how much less the impostor Jubril Al-Sudani. “Provided that a person shall NOT become a citizen of Nigeria by virtue of this section if NEITHER of his parents nor any of his grandparents was BORN in Nigeria. “In simple/plain English this means that if NONE of your parents or grandparents is BORN in Nigeria, you cannot contest for the office of the president of the Federal Republic of Nigeria, simple and short. “Now, leaving that of Atiku for the moment, let us now consider whether the dead Buhari (now replaced by Jibril from Sudan) was a citizen of Nigeria by BIRTH, as defined under Section 25 of the Constitution of the Federal Republic of Nigeria (CFRN) above. “1. As applied to Buhari, you must have been born before Independence, so having been borne in 1942, the dead Buhari passed this first test. “3. Under the Proviso to Section 25, either of them MUST also be BORN in Nigeria. [This is the most important proviso because even if you pass 1 and 2, you will still fail and won’t qualify to be Nigerian president if you don’t pass No 3, that is what the law says]. “Now, we know from public records that Buhari’s father, Hardo Adamu, was a nomadic FULANI trader, a duck seller, from Niger Republic and later became a bodyguard in the Emir of Daura’s palace, which made him to settle in Daura, Katsina State. So, he (Hardo) was borne in Niger Republic, not Nigeria. “And Buhari’s father, being from Niger DID NOT belong to a tribe indigenous to Nigeria. This law was designed to stop cross border tribes from claiming indigenous identity to run for the presidency of Nigeria. Remember that the Yoruba tribe extends into Benin Republic. “Though they are Yoruba by indigenous identity, they are not regarded as a population indigenous to Nigeria by virtue of the fact that they belong to another country. The same applies to Fulani people indigenous to Niger Republic that share common porous border with Nigeria. “But given that Section 25 used the words ‘either of the parents or any of the grand parents’, we shall consider whether Buhari’s mother, Zulaihatu, was born in Nigeria. “What we know for sure is that Hardo Adamu married Zulaihatu in Niger Republic and both of them, being nomadic, emigrated to Daura together sometime in early 1941. That is why there is NO record of any local Daura family in present day Katsina State that claims Zulaihatu comes from them. “In other words, Buhari’s mother, also a Fulani from Niger Republic was NOT born in Nigeria. “Now, here’s the question: if neither of Buhari’s parents were BORN in Nigeria, is it likely that any of his grandparents, that is the parents of Hardo and Zulaihatu were born in Nigeria? Not likely. This is where I challenge the Daura Emirate of Katsina to confirm or deny this. “So, now we know that even though the late Buhari may have been born in Daura in present day Katsina State, NEITHER of his parents or grandparents were born in Nigeria. Buhari is therefore NOT a citizen of Nigeria by BIRTH as defined in the Proviso to Section 25 of the 1999 Constitution of the Federal Republic of Nigeria. “So, even if they now claim that the Fulani is indigenous to Nigeria, Buhari still failed the FINAL and ultimate test of his parents or grandparents not being born in Nigeria. Subscribe to The Republican News. Advertise with us. Call us for press release, enquiries. Email: RepublicanNewsNetwork1@gmail.com, phone: +2348189650279, +32466100102, +32497220468. The Minister of Labour and Employment, Dr. Chris Ngige, says doctors who feel they want to relocate in search of greener pastures are free to do so as the nation has enough medical personnel. Ngige said this on Channels Television’s Sunrise Daily on Wednesday. The minister was responding to a question on brain drain and the deliberate recruitment of Nigerian doctors by foreign embassies in Nigeria to the detriment of the nation’s health sector. In his response, however, Ngige, who is also a medical doctor, said there was nothing wrong with doctors leaving the country as they would continue to send foreign exchange home which could, in turn, grow the economy. He said, “No, I am not worried (about doctors leaving the country). We have surplus. If you have surplus, you export. It happened some years ago here. I was taught chemistry and biology by Indian teachers in my secondary school days. Subscribe to The Republican News. Advertise with us. Call us for press release, enquiries. Email: RepublicanNewsNetwork1@gmail.com, phone: +32497220468, +23481819650279, +32466100102.